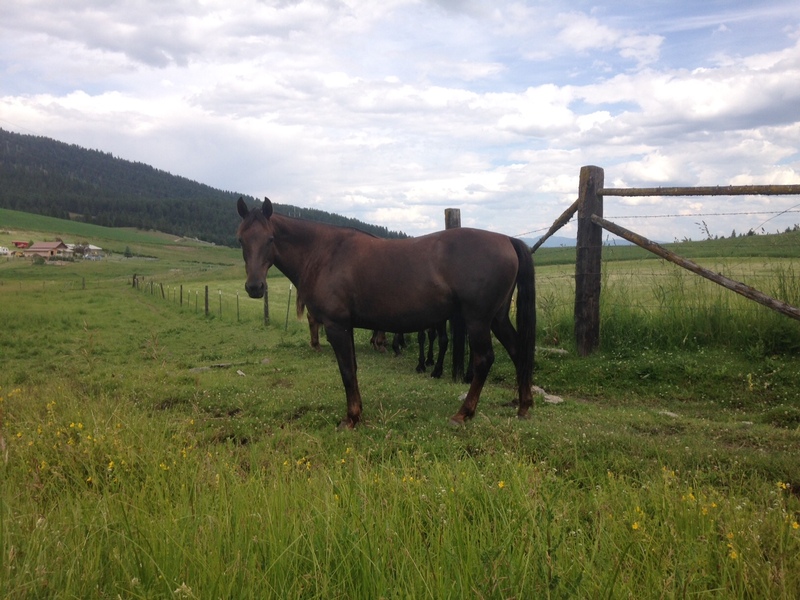 “Symphony” is a tall mare, sensitive and smart. 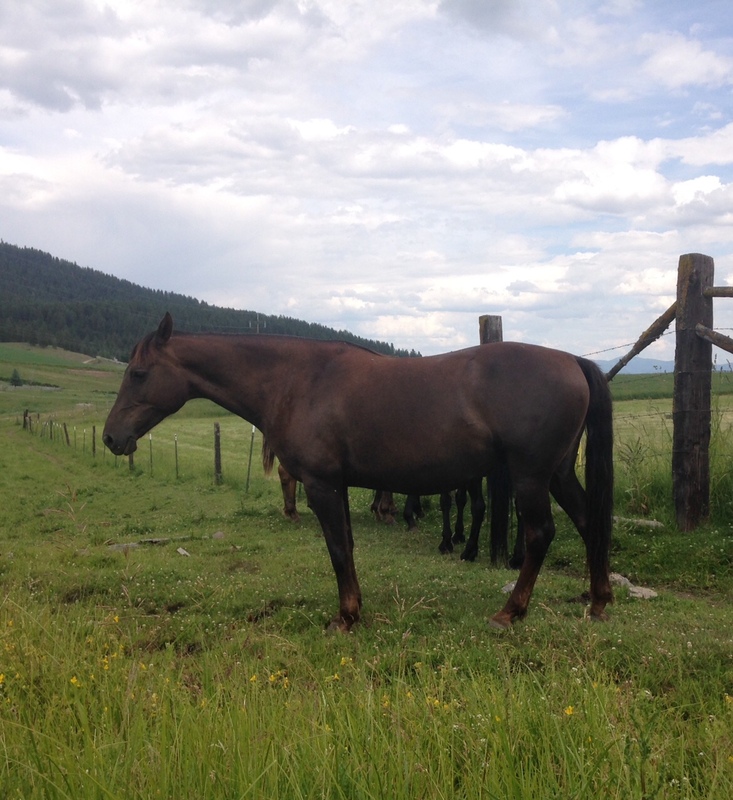 She is 15.2+hh and sired by the well known Caduceus Denver. 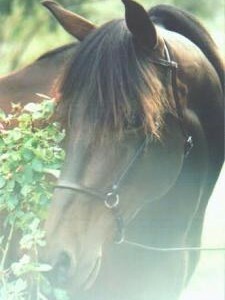 She is trained to ride, but due to an injury not a current riding horse for us. 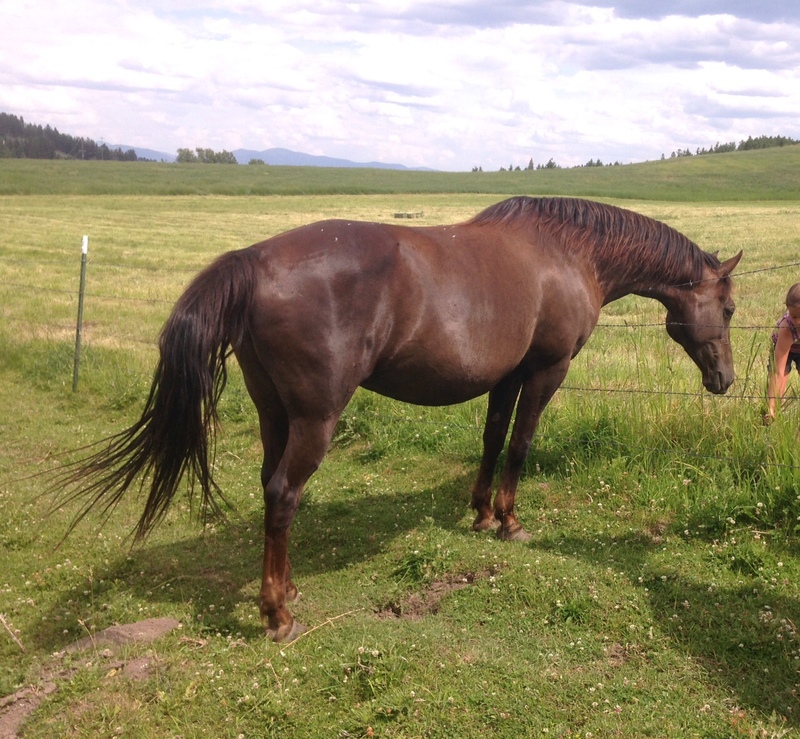 We look forward to the foals that she will have.